ONCHAN, Isle of Man – April 3, 2017 – PokerStars created its landmark 200th poker millionaire when Panamanian ‘Xavi666’ won the $10m Guaranteed Sunday Million 11th Anniversary for $1,093,204. The marathon tournament lasted over 15 hours, and was watched to the final hand by many, including Team PokerStars Pro Online member Randy ‘nanonoko’ Lew. A total of 44,017 unique players totalling 55,835 entries congregated online to challenge for a share of the $11,176,000 prize pool at PokerStars, an Amaya Inc. (Nasdaq: AYA; TSX: AYA) brand. There was additional reason to celebrate as during the tournament 99 free tickets to the €530 Monte Carlo Mega Satellite were awarded to lucky players, giving them the chance to win one of 50 packages worth €8,500 to PokerStars Championship presented by Monte Carlo Casino. ‘Xavier666’ is the first of 10 millionaires that PokerStars expects to make from now until June. Players can win the huge sums of money through a variety of online and live routes, including special $1 million Spin & Go’s, Millionaire Challenges, SCOOP events taking place in May and at PokerStars Championship presented by Monte Carlo Casino® at the end of the month. In all, 9,206 places were paid in the Sunday Million 11th Anniversary, a 12% increase from the Sunday Million 10th Anniversary in 2016. ‘Mouzen’, from Sweden, won a huge $785,999 for finishing in second place while ‘TranBrothers’ finished in third for $565,140. 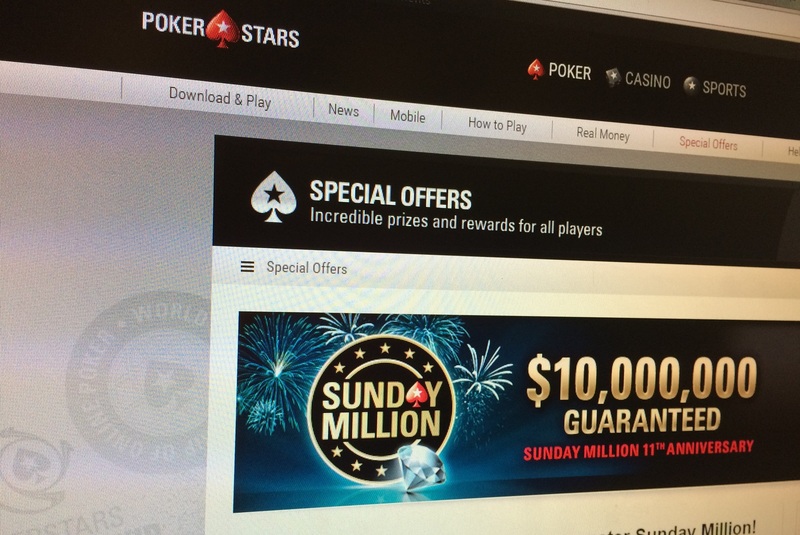 The first Sunday Million millionaire created with PokerStars was in September 2011, one of only two online PokerStars millionaires that year. Compare that to 2016, when PokerStars created 10 poker millionaires online, or 2015 when 20 millionaires were created. And that’s just looking at poker – PokerStars Casino has also created four millionaires – three in 2017 so far. During the previous incarnation of PokerStars Makes Millionaires, which ran in 2015, PokerStars created six of those millionaires over six weeks. This time, the series is bigger than ever, aiming for 10 in 10 weeks. For more information, please visit PokerStars website.